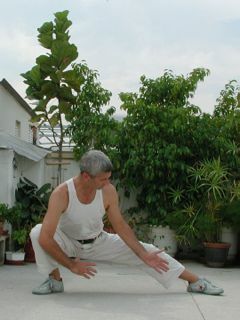 Dimitris Pitianoudis started his energy practices of Tai Chi, Bagua, Chi Gung, Meditation and Shiatsu in 1988. He teaches Physical Education in Public Schools since 1980. He met Bruce Frantzis in 1989 and has been studying with him since then. He speaks, in addition to his native Greek language, Russian and English and can communicate with ease the material he teaches in those languages.